What can I do to customize my team and pipes? Learn how to give your team and pipes some personal touch here! 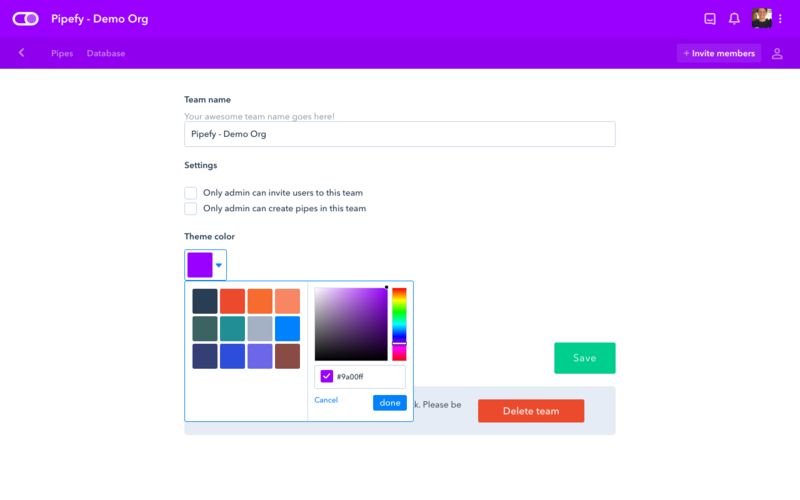 Access your team settings (click on your profile picture on the upper right corner of your screen) to choose the color of your team's header. The color you choose will be reflected on all of your team's pipes and it will be displayed to all your team members. In order to quickly locate your pipes you can choose a customized icon! You can add or edit pipe icons by accessing the pipe's general settings. 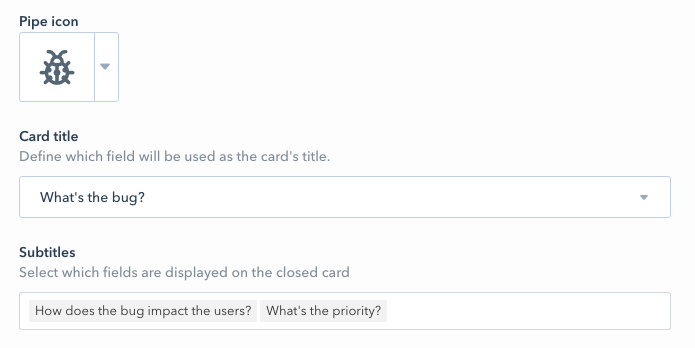 In order to have a better overview each card on your pipe (without having to open them), you can edit the fields you'll use as your card's title and subtitles. Important information you filled out on your fields will be retrieved and shown on the closed card. 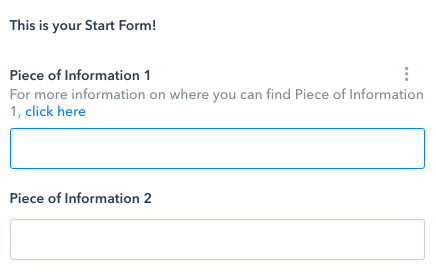 You can select which field you want to be shown as the card's title, and which field(s) you want to be shown as subtitle(s) on your pipe's general settings. You can change the text displayed on the 'Create new card' button so that it reflects what each card represents on your pipe. 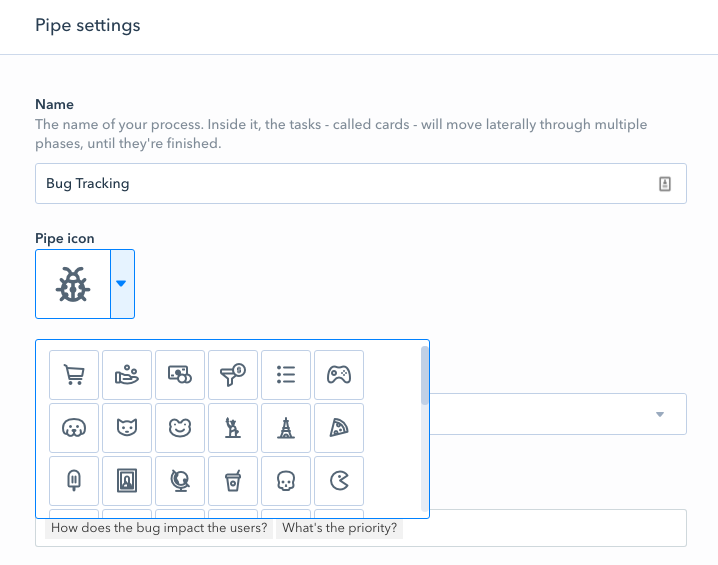 For example 'Create new lead' on your Sales pipeline, 'Create new task' on your Task management pipe, or 'Create new bug' on your Bug tracking pipe. 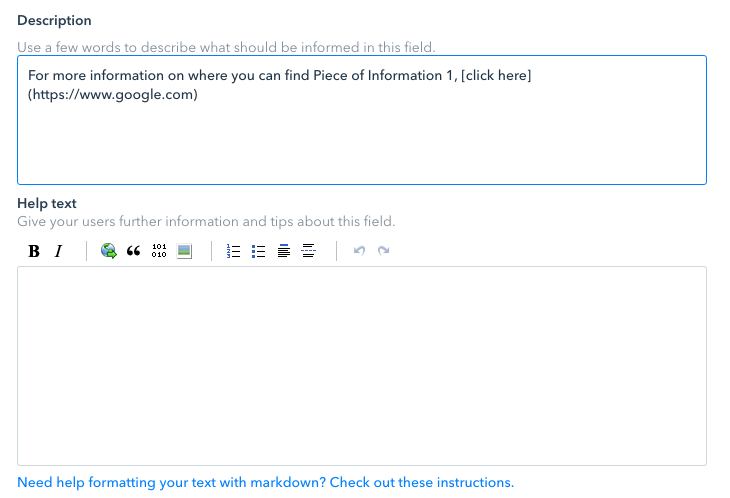 You can use markdown to format statement fields, field descriptions and help texts. Learn more about using markdown here! An example of markdown formatting many of our customers use is inserting hyperlinks to prevent showing very long URLs on their descriptions. See the following example: in the Field description I needed to ask the reader to 'click here' for more information.